Just seems like the kind of day you might want to make some squash. 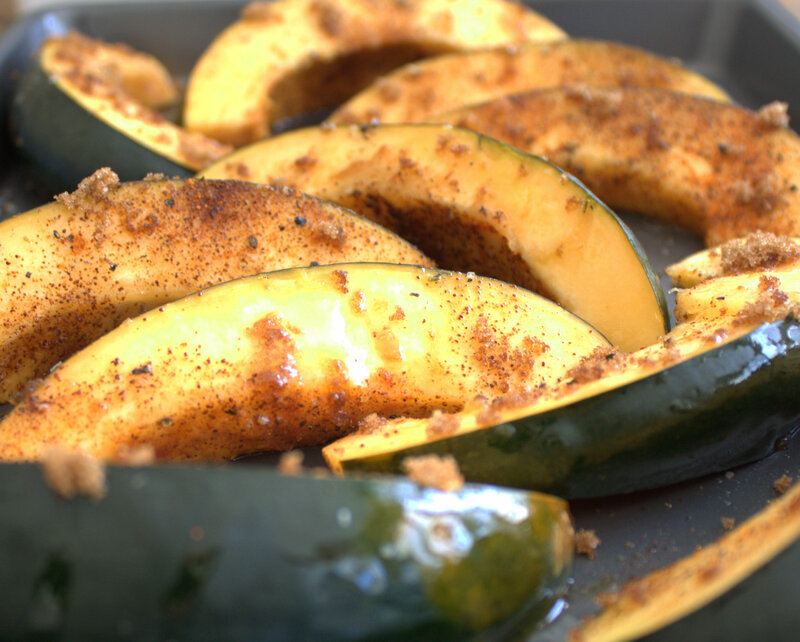 I’m trying to love squash, but I’m finding that a passion for squashes is elusive. 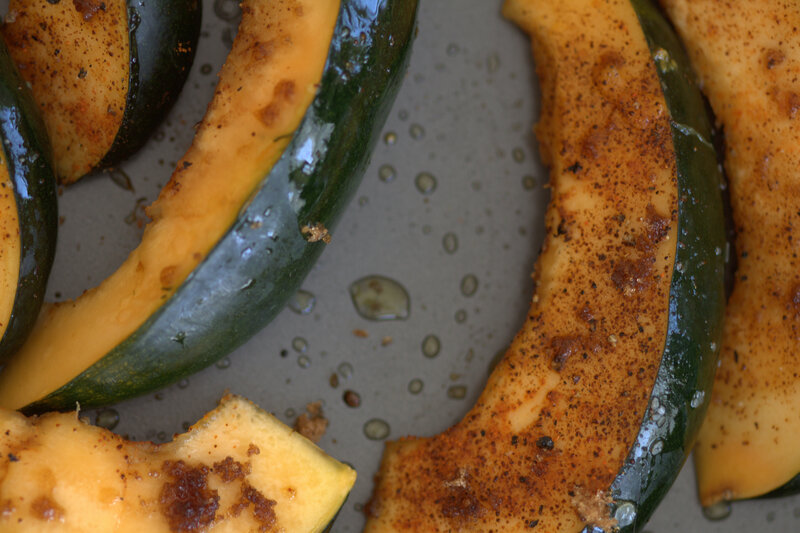 Most squashes just lack the allure of the pumpkin. However, today we shall branch out and consume some high quality health food. 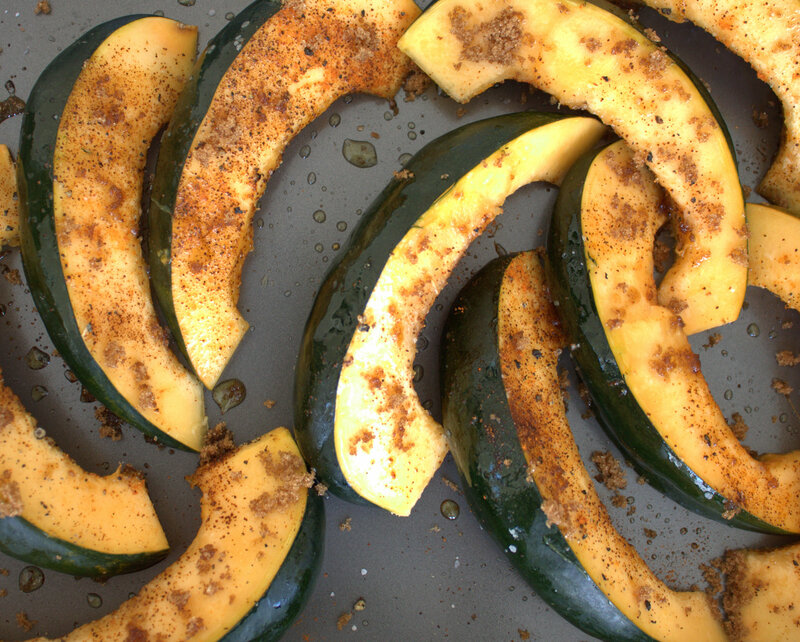 Let’s start by impulse-buying an acorn squash at the grocery store. Why? Well, the stores have plenty of squash this time of year, so they put them in pretty displays right up front where they seem more appealing. It works on me every time. 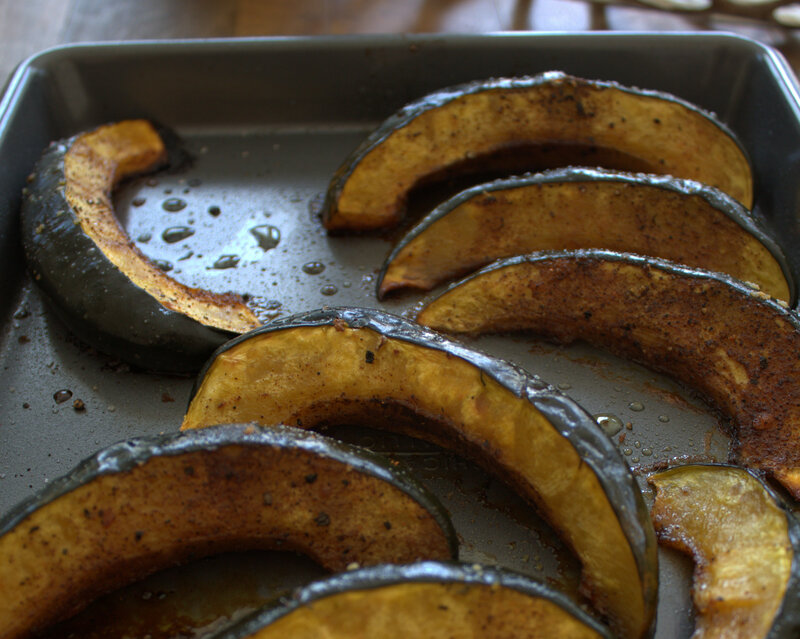 I sliced the squash into slivers that will roast into soft pieces pretty quickly. Then I olive oiled them and seasoned with salt, pepper, chili powder, cayenne pepper and brown sugar. Roast them at 450 for 30 minutes. 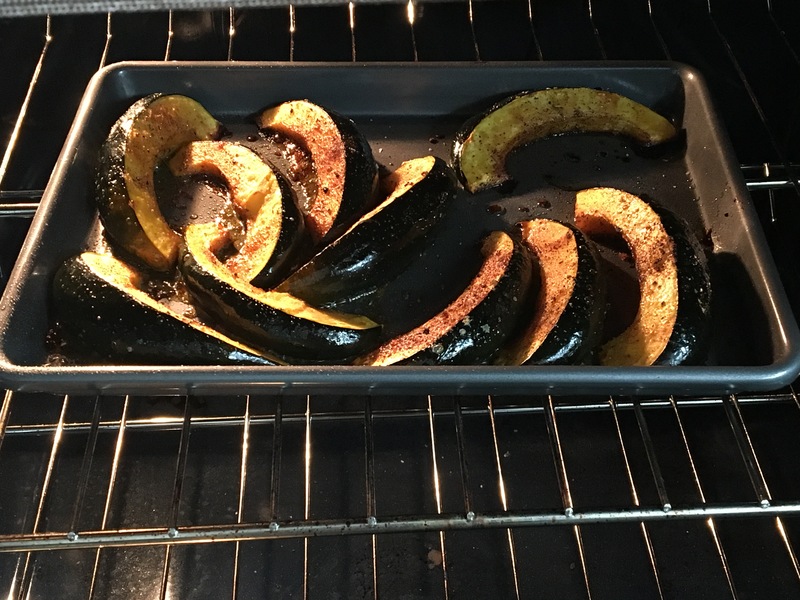 I think I’ve shied away from squash fandom because I can’t figure out if this is a food that’s supposed to be sweet or savory. In this case, it’s both! When they’re done roasting, they should be soft and look a little more pathetic. But in this case, that’s good. Honest. 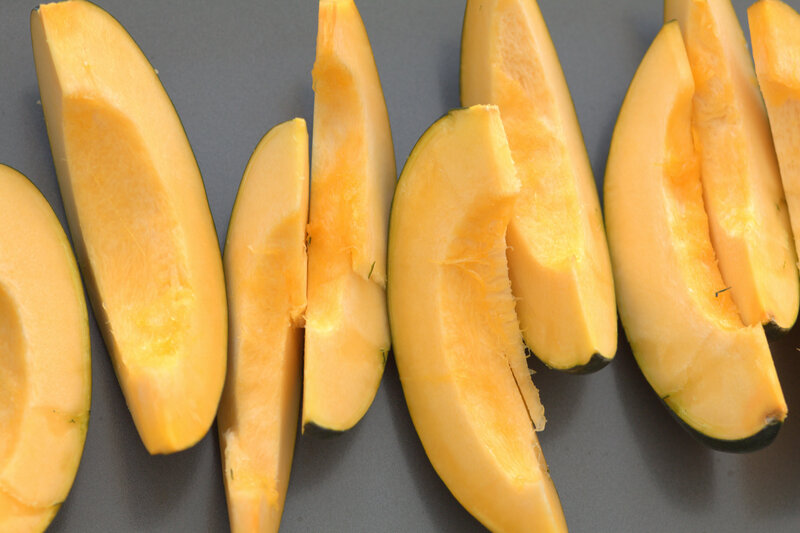 If you happen to find squash super exciting, you could just start chowing down. This would make a good side dish all by itself. However, I’m going to pair it with a kale salad to make myself feel like I’m making good choices. So here’s what I had on hand. 1. 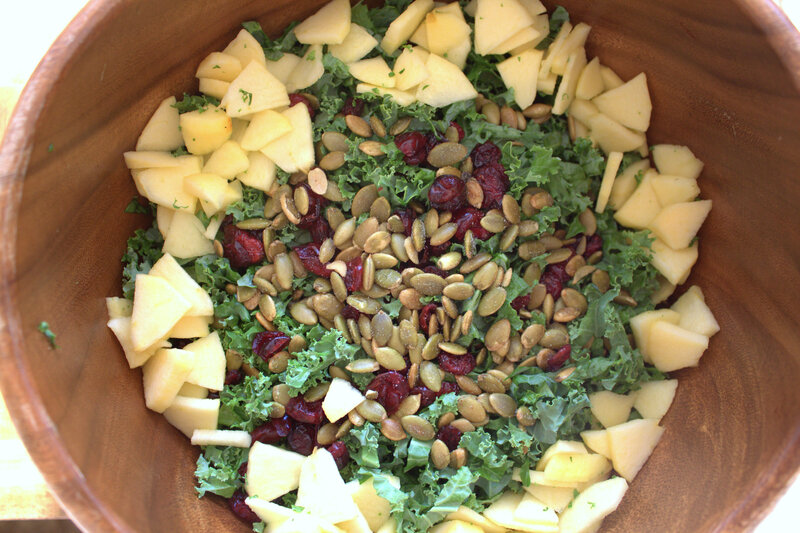 Kale (Essential for a kale salad), 2. An apple that was starting to go bad (gotta use it somehow), 3. Dried sweetened cranberries, and 4. Salted pepitas. Go ahead and give it a little bit of dressing. Don’t overdo it. Most of the flavor comes from the ingredients. Satisfied with your salad? 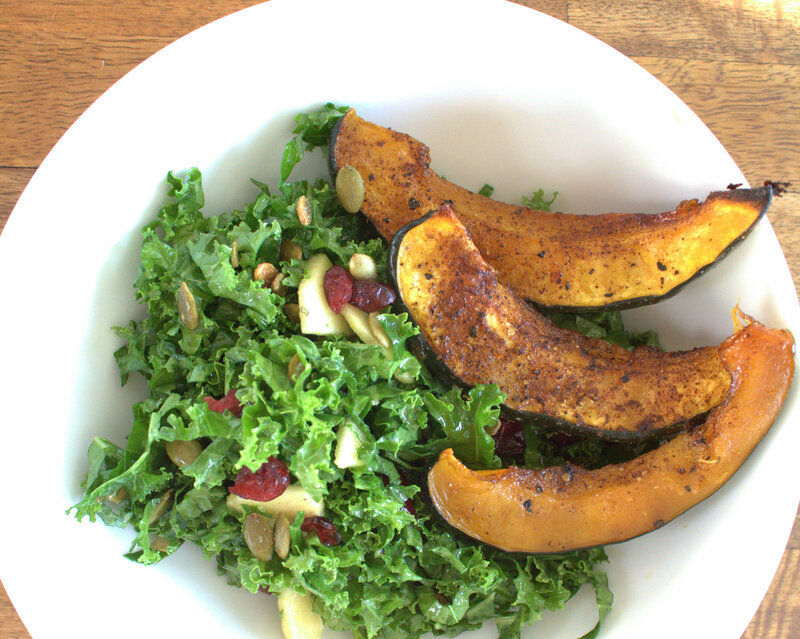 Ok, go ahead and add your roasted squash! There. Now you can go eat. And pat yourself on the back for having so much produce for lunch. 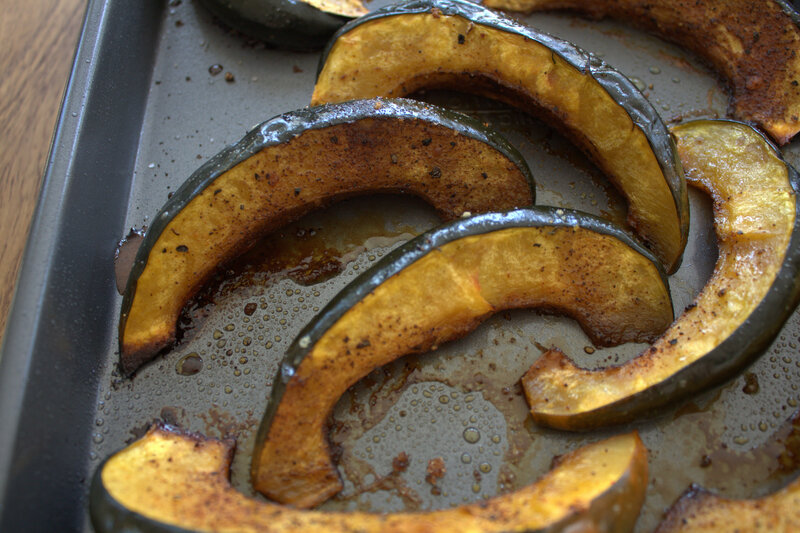 Slice up your acorn squash and lay it on a baking sheet. Coat it with olive oil, and then sprinkle it with the remaining ingredients. Roast at 450 degrees for approximately 30 minutes. 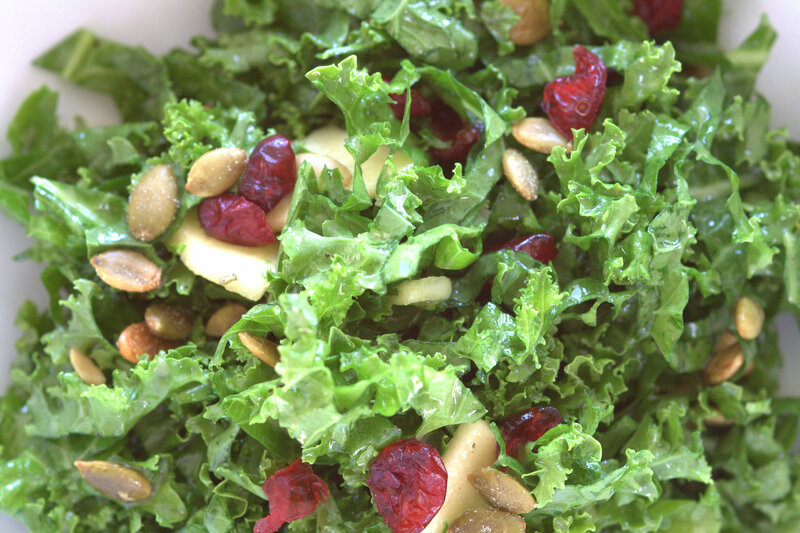 You will be in the healthy super food hall of fame if you keep this up. 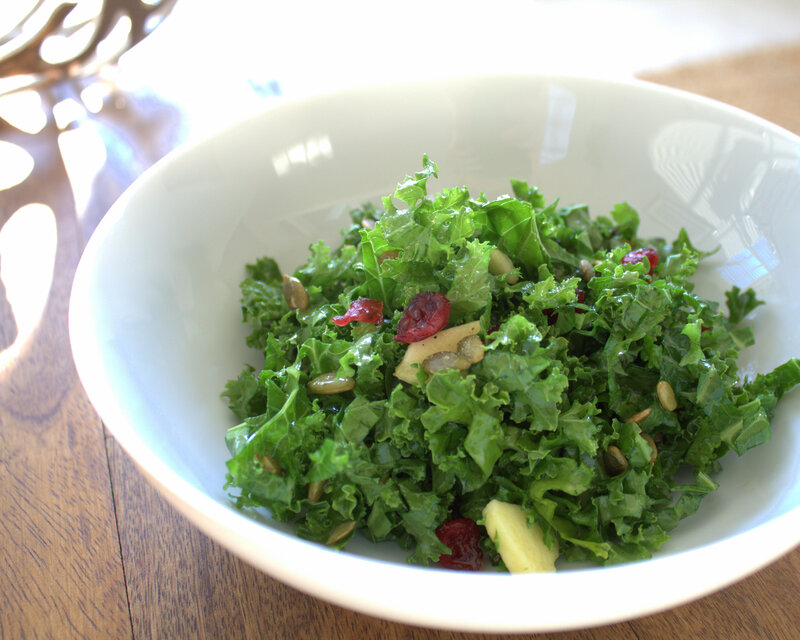 Personally I have trouble getting the kale down but I feel like if I eat this I could live to be 110. 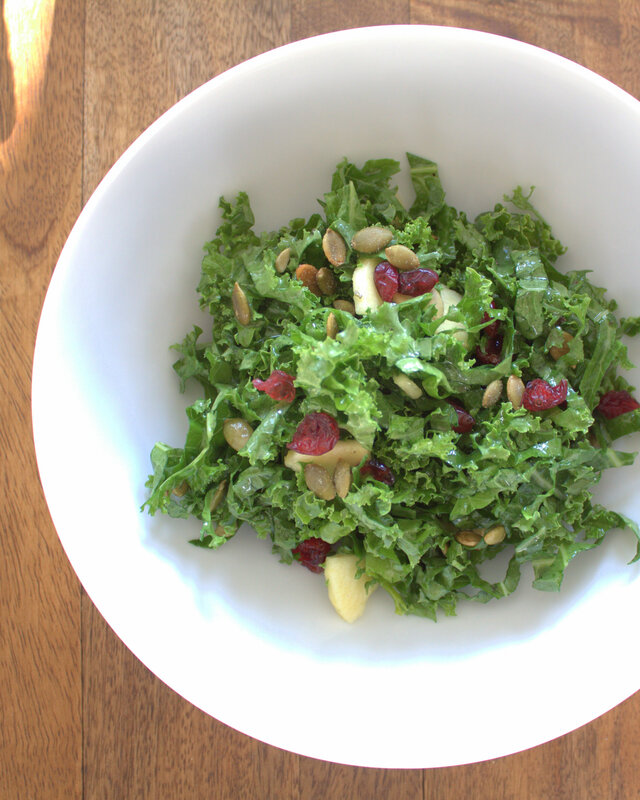 The big question is… do we want to deal with 110 years of eating kale?